He does this most days. ‘Rational brain’ knows it’s a harmless, innocuous thing, yet every time I hear that sound my brain screams “%@@$£! !” and I just want to sprint out of the office and dive headfirst into the Thames. … and now he’s stopped. Thankfully misophonia triggers tend to be fleeting. The problem is, and maybe you can identify with this too, I still feel on edge. As far as my brain’s concerned the threat has not fully passed. He might start finger drumming or coughing or rustling again at any moment. One of the worst things about this disorder is that relentless, droning anxiety that seeps into the liminal spaces in-between triggers. Misophonia triggers are intense, overwhelming and unpleasant. That’s the obvious, headline effect of the disorder. A kind of ghostly residue… a slow burning, low-level anxiety in the moments in-between triggers when you feel trapped. You’re not being triggered – your amygdala is calm again (sort of) – yet you feel distracted and overly aware of your surroundings. You could be in an office, a school, a lecture theatre – anywhere that you cannot easily leave. The problem starts when you’re triggered by someone (usually a person who know tends to make a lot of sounds/movements that trigger you) and then find you have stay in that space with them for a prolonged period of time. Every micro movement, every breath, every tap. The brain has survival mechanisms built in which are designed to protect us in dangerous situations. For example, if we see someone running towards us with a machete in their hand, our brain goes into freeze-fight-flight mode so that we can act quickly, on instinct. The problem is even when the immediate threat of attack has passed, the brain keeps us alert for long as it believes the attacker is present or nearby. It makes sense. If he comes at you, you want to be ready. In survival scenarios every millisecond counts. Our main issue is that we’re also triggered by non-threats by non-threatening people, sometimes on a near constant basis. “The autonomic nervous system (ANS) controls many organs and muscles within the body, unconsciously, without thought or effort. Within the ANS, the sympathetic nervous system’s function is to prepare the body to deal with a threatening situation by either “fighting” the danger or “fleeing” from it. I keep repeating this on Allergic to Sound (and will continue to do so). Our brains are wired to respond in this way, in the same way that a dyslexic brain is wired differently. It’s not a good thing or a bad thing, it just is. My mum has green eyes, mine are brown, vive la difference. Neuroscientists are still looking into why this happens to us – and we discuss this elsewhere this site – but what matters is this. It’s a very real neurological and physiological response. You meet up with a friend and ask them how their day was. After you gasp, give them a hug and check, very discreetly, that they no longer have a tarantula on their head, you reflect on what they’ve just told you. They have experienced events that would each trigger a freeze-flight-fight response in the brain. While none of these are particularly physical events, but they are all exhilarating, terrifying and extremely mentally taxing. And so you would fully expect that person would feel completely and utterly drained and exhausted. As misophones we’re often thrust in and out of freeze-fight-flight mode 5, 10, 15, 20 times in a single day. On top of that, in many situations we also then have this anticipation of further triggers. 1. 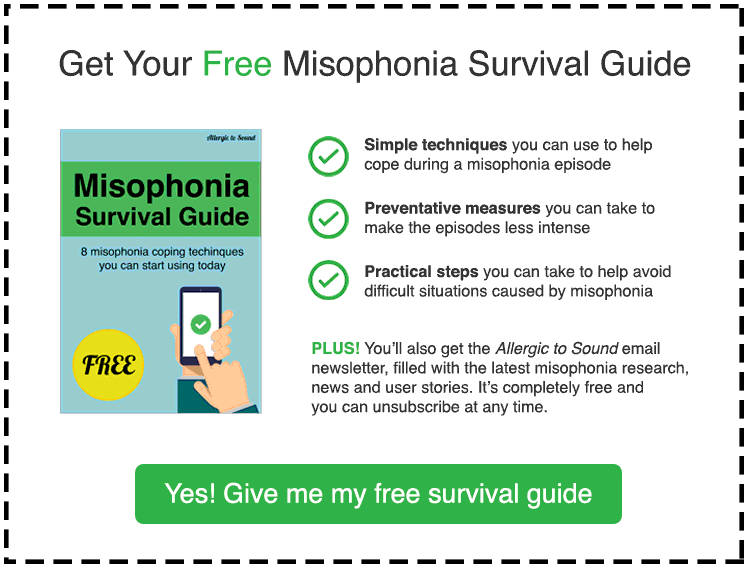 The immediate neurological and physiological response to misophonia triggers. Big, brain-busting misophodes. Your head’s screaming “STOP!” and you’re doing everything you can to hold yourself together and not flip out. This is exhausting. 2. That constant, low level anxiety that can exist between triggers. Sensory overload… the anticipation of more triggers… the subconscious monitoring… the hyper awareness. Again, this is exhausting and nerve wracking. 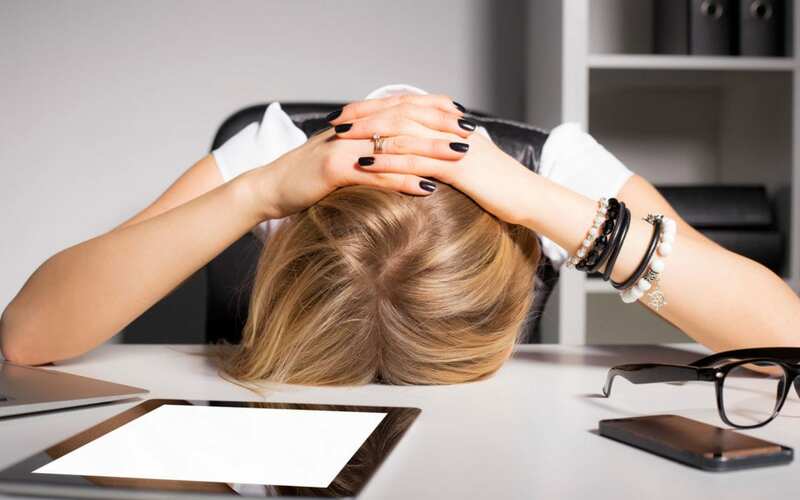 So it’s little surprise that at the end of a full day at work or school – or anywhere where don’t feel we can escape – we often feel completely exhausted. We spend the whole day noticing and processing everything around us. Burning through energy reserves during full blown misophodes and then getting hit with that slow, consistent drain as we continually monitor those moments in-between triggers. So now you know why you often feel mentally drained after a day sat in a mundane office or classroom. My trigger is the sound of my 2 year old son.. I also have a 20 yr old daughter.. I swore I’d never have any more kids (and I always said never again, cause I can’t handle the sound of a crying sooking whining baby) but of course it only hit me recently that it was because of being misophonia my son cries, soooo much, and whines and I tell U it’s constant.. most days I feel as though I’m going crazy, some days it gets so bad that I want to kill myself.. I hate my life on all days that end with “Y” I just got noise cancelling head phones.. but sometimes I’m not quick enough.. and bam I’m done for.. plus it’s not safe to have them on all the time. Cause I need to be able to hear where my son is.. i have little to no help.. besides my husband who works 6 days a week.. anyone else here going through the same thing? Hit me up.. skymostra@gmail.com would love to chat with someone who understands.. I just left school today in tears because I was trying to finish my Report for Communications in computer classroom early in the morning. Then students started come in with all problems and non-stop bla bla bla. Some people just never stop talking. And it happens every day. I am here to study but its not possible. I said: will you ever stop. Replay was: stop wailing. Instant klicking pen,phone, opening and closing drinkig bottles, schewing gum and non-stop talking. How to manage this for hours if you must study? You cannot use headphones or escape. This is the post I’m going to show people when they don’t understand how much misophonia affects me. Thank you so much for writing this, I just recently discovered my misophonia and it’s been rapidly getting nearly unbearable, so having a place where I can learn more means the world to me, and hearing first-hand accounts makes me feel safe and not alone. Hi Nicole, thank you for your kind words! I’m so happy you found this article helpful and that this site is providing some solace in some small way.